Colorful stained glass and elaborate Oriental motifs decorate the interior of Spanish Synagogue, the newest of the six Jewish synagogues in Prague. 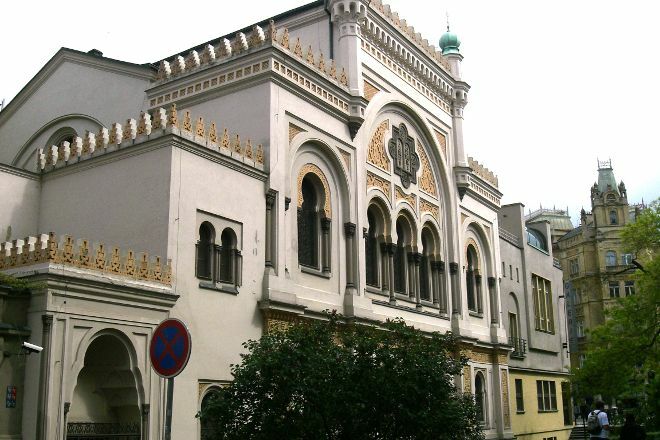 Built in the second half of the 19th century and considered the crown jewel of the city's Jewish quarter, the building is an outstanding example of the Moorish Revival architectural style. A pair of domed turrets tops the central section of the building's tripartite facade, making this one of the most recognizable structures in the city. Visit the upper-floor prayer hall to see an exhibit narrating the history of Prague's Jewish community, and containing thousands of items representing the work of many generations of goldsmiths from Bohemia and Moravia. Plan your Spanish Synagogue visit and explore what else you can see and do in Prague using our Prague trip maker site . Do not fail to visit this synagogue, the most beautiful of the city without a doubt. Although all have their charm. It is indeed a beautiful synagogue. Didn't watch the concert because it was a bit too expensive and we didn't have enough cash for a concert ticket when we were there. It's not very much of a museum, only some information and a few photos or items relating to Jewish History in Prague. Good read though. Stunning architecture and decoration accessible by purchasing a ticket to the Jewish Museum which also takes you through the cemetery and other Synagogues. It is well worth the time to visit and I am so glad I stumbled across it. Beautiful :) Could be a little better with the sharing of information. Maybe a bit more interactive? Or a silent documentary playing? Now it was just hovering above the tables..
Ahh what a place. It seats very few people so the experience is especially unique. I definitely recommend catching a classical concert here. There are some great food and drink option right next door too. The concerts start at 5-6pm and doors open 15 min prior. Photography is allowed before and after but they don't give you too much time to loiter after so get in as early as you can. Every day, we help thousands of travelers plan great vacations. Here are some tips on how to use your Listing Page to attract more travelers to your business - Spanish Synagogue. 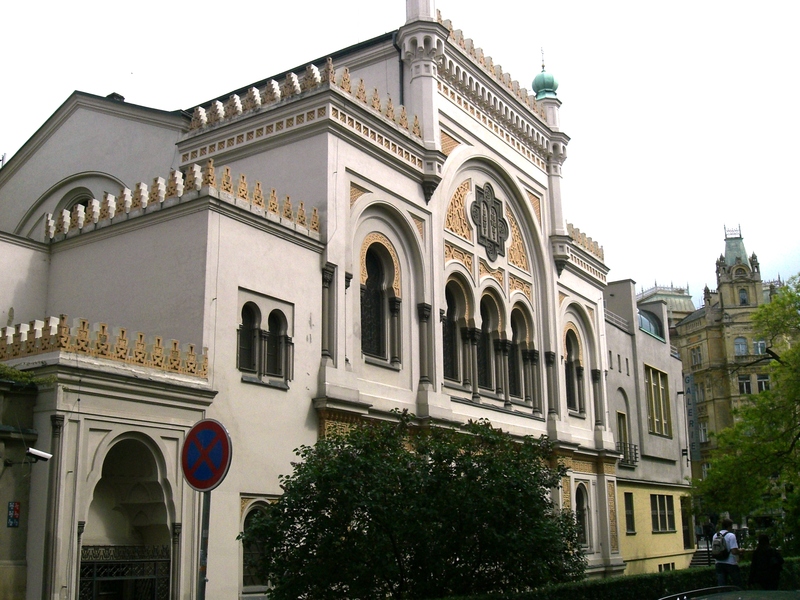 Promote your permanent link - https://www.inspirock.com/czech-republic/prague/spanish-synagogue-a210538655 - on your website, your blog, and social media. When a traveler builds a plan from this page, the itinerary automatically includes Spanish Synagogue. This is a great way for travelers looking for a great vacation in your city or country to also experience Spanish Synagogue. Promoting your link also lets your audience know that you are featured on a rapidly growing travel site. In addition, the more this page is used, the more we will promote Spanish Synagogue to other Inspirock users. For best results, use the customized Trip Planning Widget for Spanish Synagogue on your website. It has all the advantages mentioned above, plus users to your site can conveniently access it directly on your site. Visitors to your site will appreciate you offering them help with planning their vacation. Setting this up takes just a few minutes - Click here for instructions.